Thank you for another insightful article, well-timed for the official beginning of a new year. But as you point out, each of us have informal beginnings of a new year for us with the advent of a momentous event. 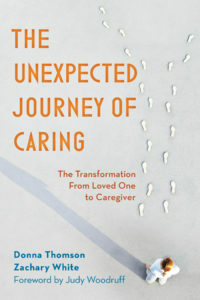 I very much look forward to your new book with Donna Thomson, The Unexpected Journey of Caring: The Transformation from Loved One to Caregiver.